Home / Unlabelled / Sir Alex Ferguson is ill! 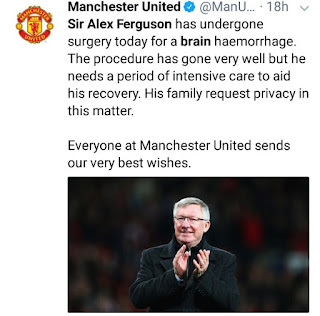 Sir Alex Ferguson is ill! The former Manchester United manager, Sir Alex Ferguson who led the football club to thirty-eight trophies in a twenty-six-year service is ill. 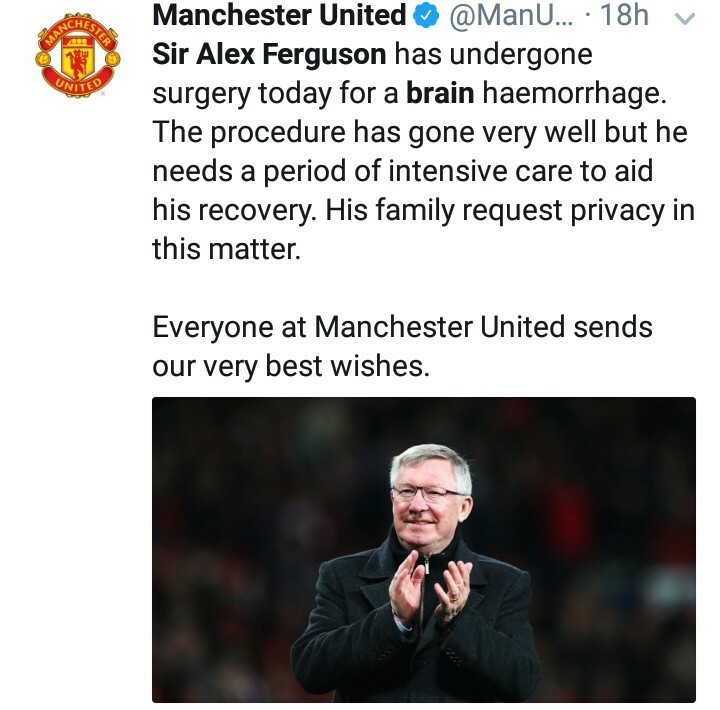 The family of the 76 years old Scottish manager who is considered as one of the greatest football coach ever, reported that he underwent an emergency surgery for brain hemorrhage (brain bleeding) last night following a fall. An ambulance carried him from his house in Cheshire under police escorts to Macclesfield general district. 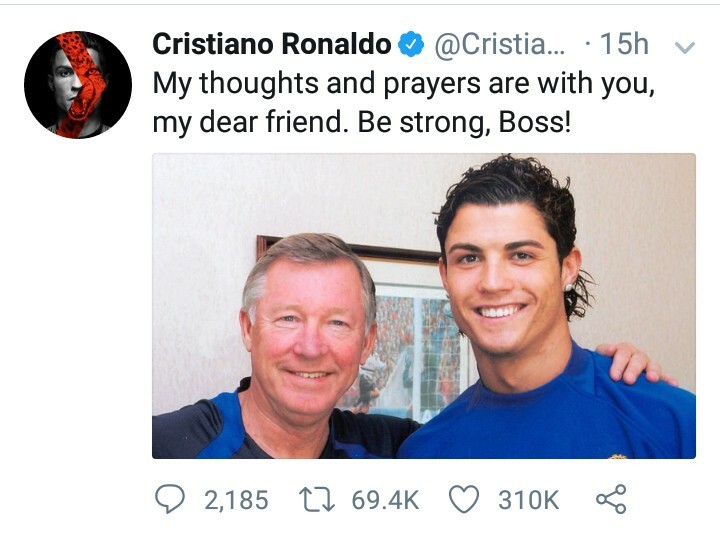 Well wishers have been wishing the football legend quick recovery including his former team, Manchester United.